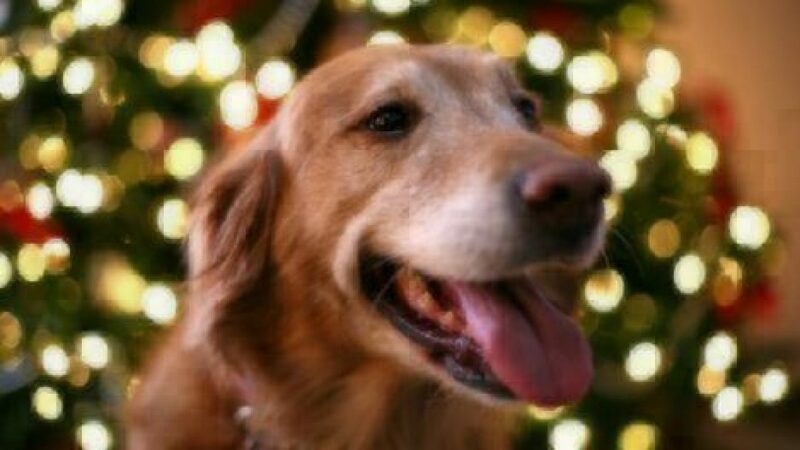 Data reveals that skin conditions are the most common reason to head to the vet this holiday season. The holidays are right around the corner, and while pet parents remember to shower their furry family members with presents and special treats, keeping hazardous decorations and human snacks out of paw’s reach can slip the mind. Since so many of the most common ailments can occur at any time over the year, the claims we see at the holidays don’t stray too far from our annual findings (and it’s a good reminder that pet health insurance is needed at any point in our pet’s lives). Pets can suffer extremely dry skin and allergies year-round, so it makes sense that skin conditions are the most popular claim for pets even during the holidays. There’s also wound care to consider – we’ve seen benign claims that state “razor burn post-grooming” (get them looking sharp for holiday photos!) to more serious issues resulting from car accidents and animal fights. PRO TIP: In addition to letting a professional groomer touch up your pets, there’s also burns to consider: holiday candles should be placed out of paws’ reach and keep an eye on the candle wax. Hot candle wax can cause severe burns, especially on delicate paw pads. A curious pet could also tempt fate by swatting at a roaring fire and your cozy evening could be spent at the vet. “Foreign body ingestion” (or obstruction), which can include swallowing ornaments, tinsel, string, or toys. “Toxicity,” which means consumption of poisonous human foods (chocolate, garlic/onions, xylitol, grapes, alcohol) or winter-specific household chemicals such as antifreeze. Even eating food that’s been deemed safe for pets (or nontoxic) can result in tummy upset for the sole reason that it’s meant for humans and is not kitty- or pup-food. Around the holidays, this includes heavy foods made with cream, butter, or high in fat. PRO TIP: Know the possible stomach problems that may arise with your pet ingesting human foods, toxic foods, and non-foods. Check out our handy guide of all-things-tummy for the holidays here. PRO TIP: Keep a pup towel in your mud room or by the door your dog most commonly goes in and out of, and use it to dry off those ears when they come back inside! 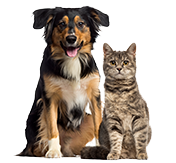 Pets have dry eye conditions and eye infections like conjunctivitis quite regularly, as well as glaucoma and cataracts. However, eye trauma cases come in during this time – we had a case that says, “accidentally hit in face with roll of duct tape” (gift-shipping gone awry) or “got into a fight with a raccoon” (with colder temps, critters can come out searching for food and start drama with your pets!). PRO TIP: While some accidents are almost unavoidable, you can exercise caution when going out on walks. Be patient and avoid critters, low-hanging trees, and definitely don’t give your dog that BB gun! Claims filed under “pain” are usually the first vet visit before a further diagnosis can be made. We see many pet parents bring in pets for pain and then a few visits later, get a diagnosis of IVDD (Intervertebral Disc Disease), Cruciate Ligament tears (much like a human’s ACL), or arthritis. Pets then need surgery, chiropractic care, or ongoing prescriptions to manage the condition. While these can occur at any time, creaky joints may get noticed more in colder weather. PRO TIP: Notice any changes in your pet’s motility and get to the vet if she shows signs of arthritis or pain. To help avoid some of these hazards, try pet-proofing your home, especially before the holiday chaos sets in. If dogs and cats are surrounded by tempting-but-toxic treats, such as chocolate, fruitcake, alcohol, and raisins, you may end up at the vet! Avoid an emergency room visit by supervising pets and keeping human food out of their reach. Try to keep pets out of the kitchen, where most of the holiday food prep happens. When leaving pets home alone, restrict their roaming to a space free of decor or presents. Exercise caution with candles. A curious pet could end up with severe burns, or even knock the candle over with a wag of the tail and start a fire. Keep candles up on a shelf or only lit while you’re in the room. 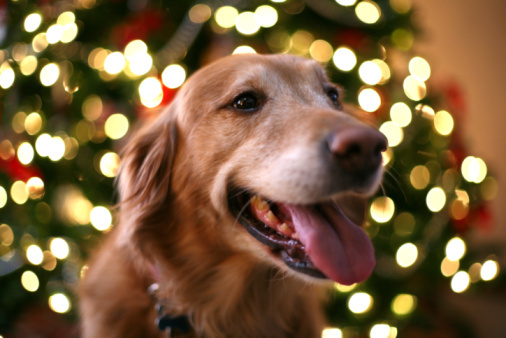 While the holidays can be stressful for you, additional guests can stress your pet out too. Make sure visitors are aware that you take your pet’s safety seriously. No sneaking snacks at the Christmas party, absolutely no sharing alcohol, and, should you have overnight guests, lock up their medications and personal products. Even after the holiday season ends, remember that winter is still here and hazards remain. Even though cats and dogs have fur coats, they are not warm outside and can suffer hypothermia and frostbite. The best way to keep your pets warm is to keep them inside, with you. If that’s not possible, provide your dog or cat with shelter that is off the ground, protected from wind, and small enough to be cozy yet large enough for them to turn around in. Additionally, when your dog goes out for a walk and it’s snowy or icy, be cautious of those pitter paws and clean them off thoroughly when you return home – especially if your neighborhood has rock salt or de-icer down. A dog will definitely lick them clean, which can lead to a vet visit! Also, remember antifreeze is toxic, so clean up or avoid contact with spills. The most wonderful time of the year is also the most cluttered with safety dangers for curious pets. While pet insurance can help with expenses should the worst happen, being prepared for these possibilities can take that risk out of the equation. Start by getting a free quote.